"You are not here merely to make a living. You are here in order to enable the world to live more amply, with greater vision, with a finer spirit of hope and achievement. You are here to enrich the world, and to impoverish yourself if you forget the errand." As an office, Harvest Partners Financial is committed to making the world we live in a better place. We have committed to give to organizations that take care of the physical world we live in and those that support people who need a helping hand. Since 1990, Forgotten Harvest has battled two problems: hunger and waste. They are dedicated to relieving hunger in metro Detroit and preventing nutritious food waste. 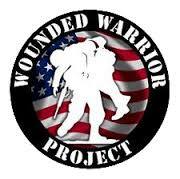 The Wounded Warrior Project's goal is successful, well-adjusted wounded service members. They accomplish this through raising awareness of needs of wounded service members, providing programs and services to meet those needs and to foster the ability in those they are helping to assist others. Haven's mission is to eliminate sexual assault and domestic violence and to empower survivors through advocacy and social change in and around Oakland County. The National Forest Foundation is the nonprofit partner of the U.S. Forest Service. They work to promote the health and public enjoyment of our 193-million-acre National Forest System. They focus their efforts on helping communities and individuals become active and devoted stewards of these public lands.